It's time for So-Saree Readers to speak again. I am seriously loving this too much. Such compliments, such great saree pics are making me feel humbled and happy too. The So-Saree Reader who features here today happens to me my relative...my husband's cousin, who is an ardent follower of So-Saree and does not fail to leave really sweet and encouraging comments on our posts and FB page. Thanks Di..I appreciate all your encouragement . Let me tell you I am not at all a Saree lover... wearing a Saree is still a big task for me even after I have become a Mother of two cutie pies...:-) On rare occasions, I do manage it somehow. But I really appreciate your love for Sarees. Because you never miss to wear it whenever you get an opportunity. The latest example would be, my daughter's 5th bday...it was a simple occasion. ..but you graced it by wearing a beautiful Saree. 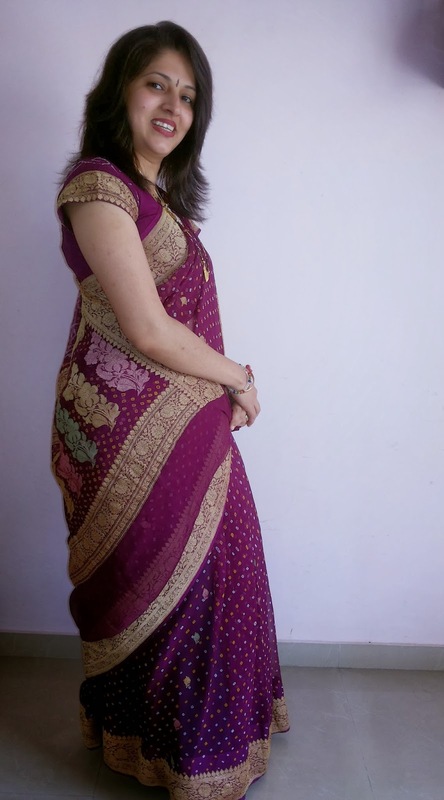 ...You are doing a great job by posting new and different topics on your blog and inspiring people especially like me to develop an interest for Sarees. ..
Sonal Di with her two beautiful kids. I just want to conclude this by wishing you and your blog All The Best and keep up the good work. :-) Also thanks for giving me this opportunity to feature here....God bless you. Thanks so much Sonal Di. You look beautiful, and the kids look super cute. I have always appreciated your support and today I am humbled too. Sonal Di's testimony is prrof that I Practice What I Preach. Keep visiting So-Saree, because we are blogging every day for a month. wow Di you look beautiful as always :) Kiddos are super duper cute. Nice post. 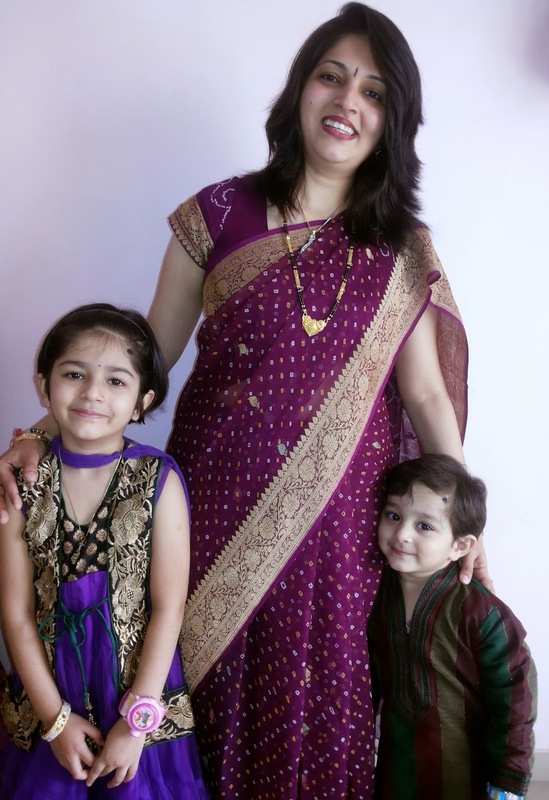 Sonal, you look pretty and your kids are so cute..
Pantone Colour of the Year 2014: Royal Orchid.